The Last Gloves You’ll Ever Wear | FISHING FURY - A Fishing Blog with Attitude! 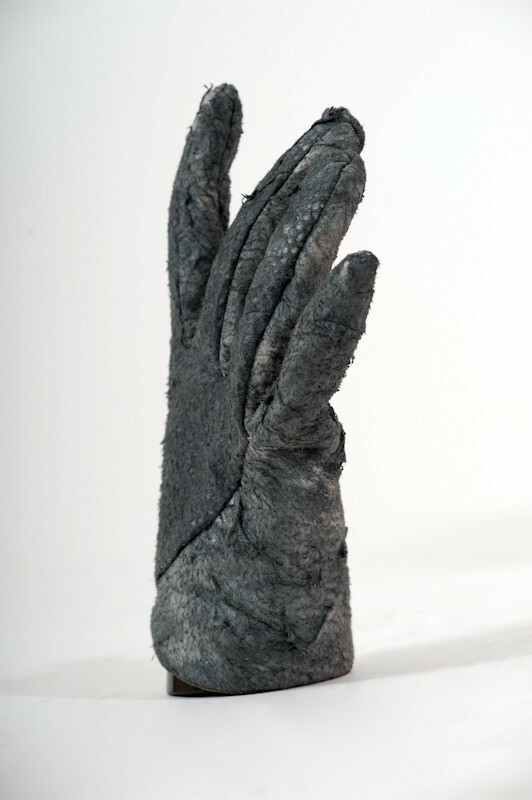 These fitted gloves made from the skin of a basking shark might look warm and comforting, but they come with a huge price tag (€720.00), and a very serious commitment. Much as the name suggests these gloves will leave “a lasting impression” on anyone who dares to put them on. Inside the unlined gloves are hundreds, if not thousands, of mic-rose thorns all slanted inward. Should you ever attempt to remove the gloves the thorns will tear the flesh from your hands like a thousand fishhooks.